Must Oil Painting Be Difficult? 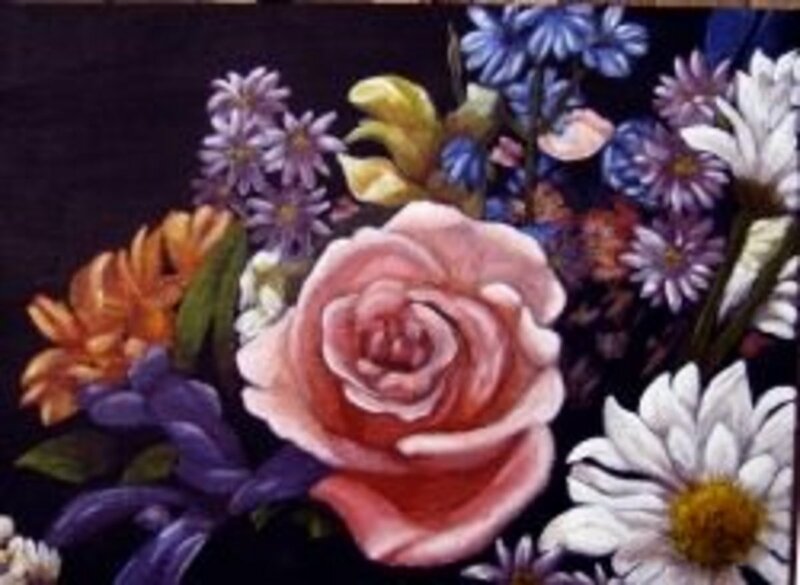 Oil painting is a wonderful medium which has been made more difficult than it needs to be. It really simply is pure pigments mixed with oil. 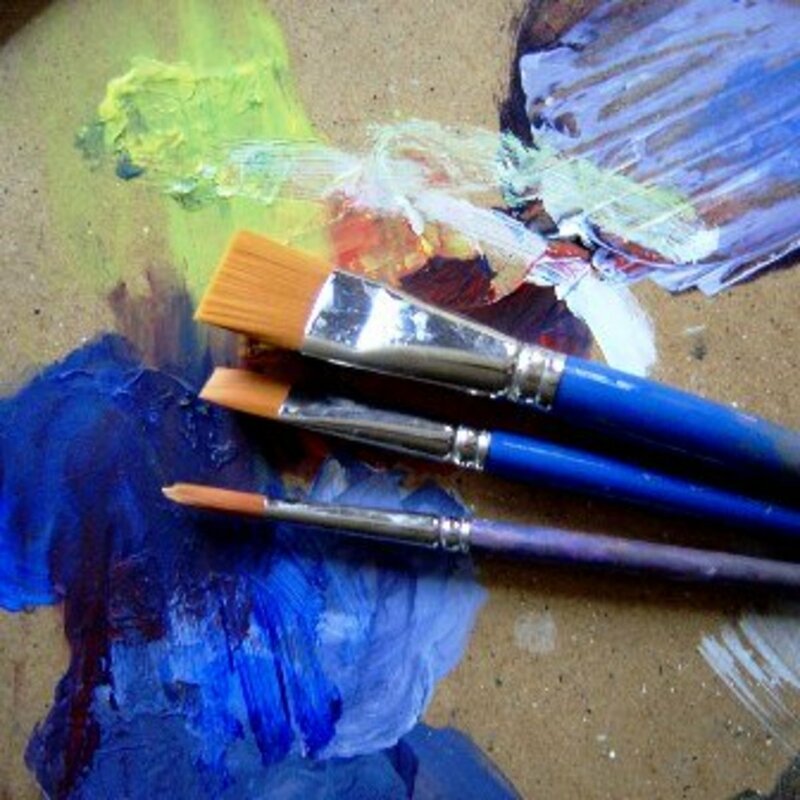 With most paints (watercolor, acrylic, gouache, etc), the paint can be thinned with the medium it is based with. 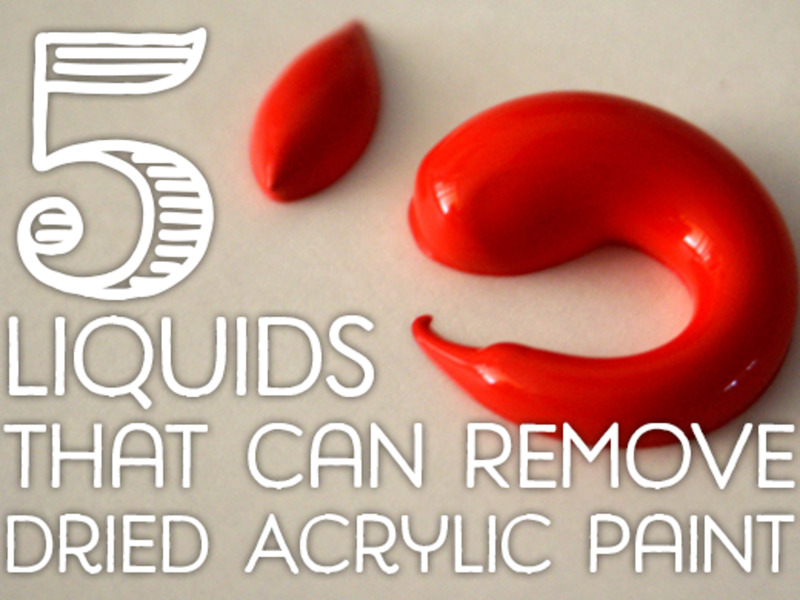 Acrylics are also thinned or extended with a variety of mediums all made with the base of acrylic polymer emulsion. 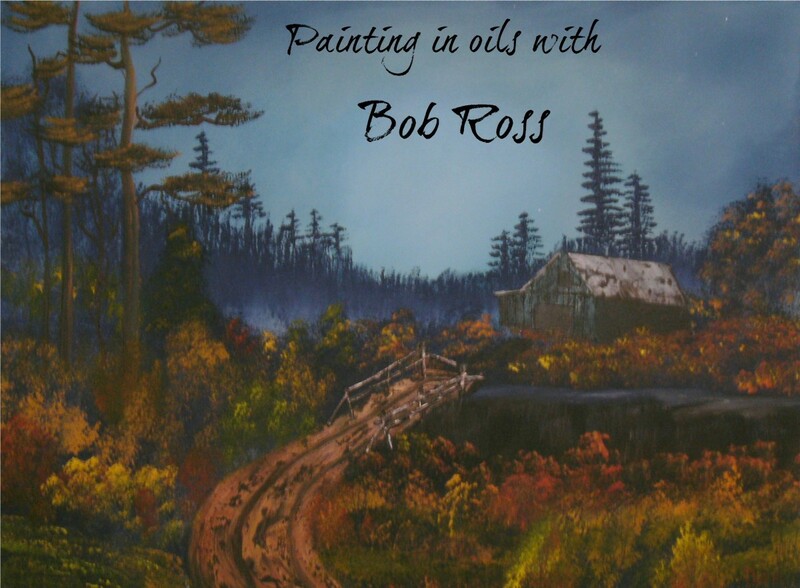 The world of oil painting can be simplified and brought back to it's non toxic roots. Let me explain. Today, many oil painters are using turpentine or mineral spirits to thin their paints. I'd be willing to bet you didn't know that oil paints can be thinned with oil. In fact, this was the only way Renaissance Artists used to work. Walnut oil goes back as far as the use of linseed oil in painting and that's at least 1000 years..
Artists still use turpentine and mineral spirits to thin their oil paints. They also mix their paint with a glaze (made up of damar varnish and turpentine). The varnish works beautifully as a top coat, and also works perfectly well as a glaze. However, the smell is really rough on some people. Ask anybody who has painted in oils, odorless mineral spirits are not odorless. The smell of turpentine is enjoyable to some painters and noxious to others. The reason for my switching to walnut oil based paints is simple; I don't like to be bothered with cleaning my brushes with spirits, just one extra unpleasant step and one more thing to do. I simply wipe the excess paint onto a rag and dip the brush into a little walnut oil, work into the brush and wipe clean. At the end of my painting session, I wash my paintbrushes with a mild bar soap, rinse very thoroughly, then dip them in a little more (clean) walnut oil and blot the excess. That's it, it takes about ten minutes and I am ready to go for the next painting session. Any oil is flammable along with turpentine and mineral spirits. If your rag has pure oil paint on it, you can rinse thoroughly and hang to dry. Anything with solvents (turpentine, mineral spirits) on it needs rinsed thoroughly, then put in a metal container. The painting above is almost seven years old and still looks as bright and vibrant as the day I finished it. This is actually the way an oil painting should look. Not one drop of turpentine or mineral spirits has been used on this painting. Paintings should not have a tinge of yellow on them unless this is what the artist originally intended. Granted, it does take many years for a painting to yellow, but why take the chance? Glazes are easy with walnut oil based paints. Simply add a little extra walnut oil to the paint and this will naturally thin down the paint to a sheer color. Walnut oil is lighter and is easier to work with than linseed oil, which is much thicker. Walnut oils do not oxidize anywhere near as quickly as linseed oils. With oxidation comes a slight darkening of the paint film. Over time, this film becomes even darker. 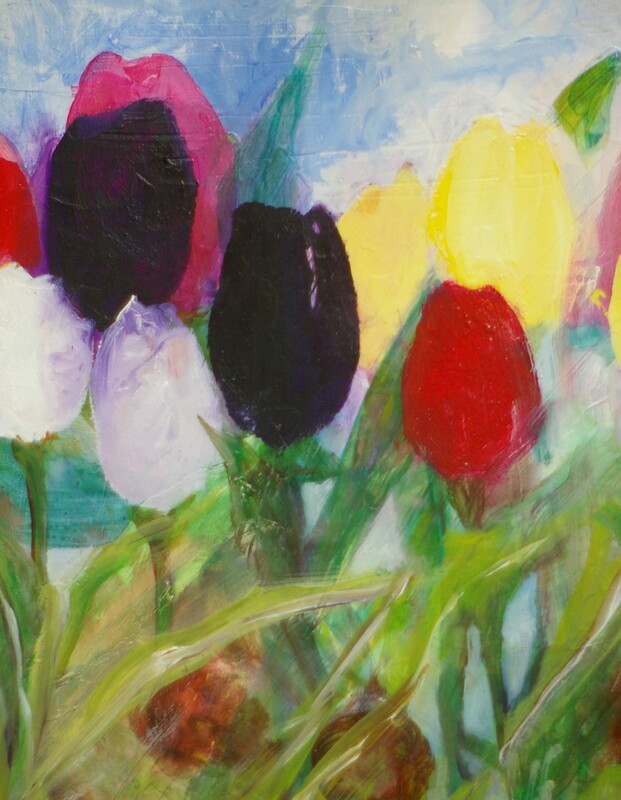 What is the point of finding those bright beautiful colors in your painting if they are only going to darken? 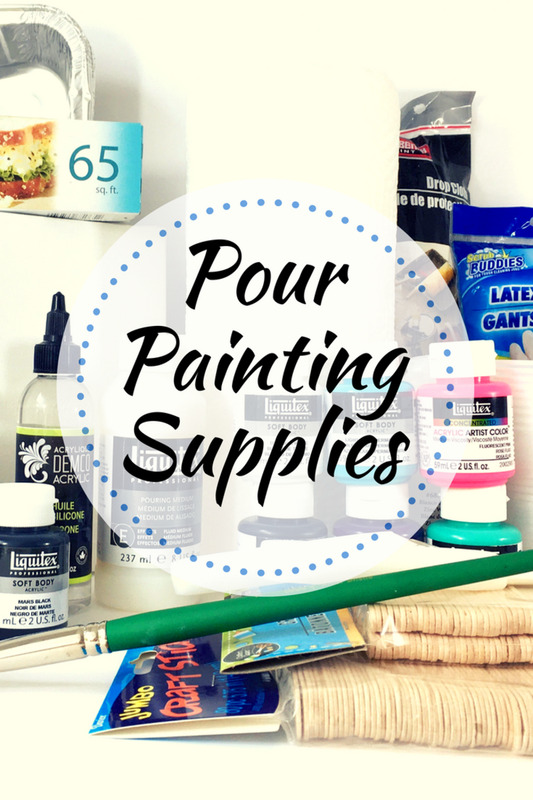 Why not stack the odds in your favor and use walnut oil based paints? You never know if you are going to be known as the next Monet! If it is your desire to work simply and cleanly, walnut oil painting may be for you. If you prefer to continue to work in oils with solvents, by all means do so. During the Renaissance, artists did not go around extracting turpentine from pine trees (which is where turpentine comes from). They were simply left with their imagination and their colors. When they combined them with different oils, the two they found worked well were walnut and linseed oils. These Renaissance artists found that they preferred the walnut oils. What they didn't know was that many years later, the paintings made with linseed oil darkened and cracked. To be fair, though the paintings might have cracked because the fat over lean rule was not followed: simply put, this means always keep the leaner layers underneath the thicker layers of paint. If you are used to making a glaze with a combination of damar and turpentine, this can be used interchangeably with the walnut oils paints. I have tried glazes with just walnut oil and they work beautifully. So, I forgo the turpentine in favor of the walnut oil for thinning. It's not that I think damar crystals and turpentine are a bad thing; they're not in and of themselves. After all, damar and turpentine both are extracted from trees but, the powder residue from the damar crystals can be hard on people with sensitivities or allergies. A note of caution here, turpentine and the less harsh mineral spirits fumes are dangerous without proper ventilation. Make sure your windows are open while working, or do what I prefer, work with walnut oils. You won't regret it! ****** Eco House makes a thinner from food grade ingredients which is not toxic. People seem to be quite happy with this and there are a couple of different grades of this thinner which can be used. The stronger version will dissolve damar varnish. 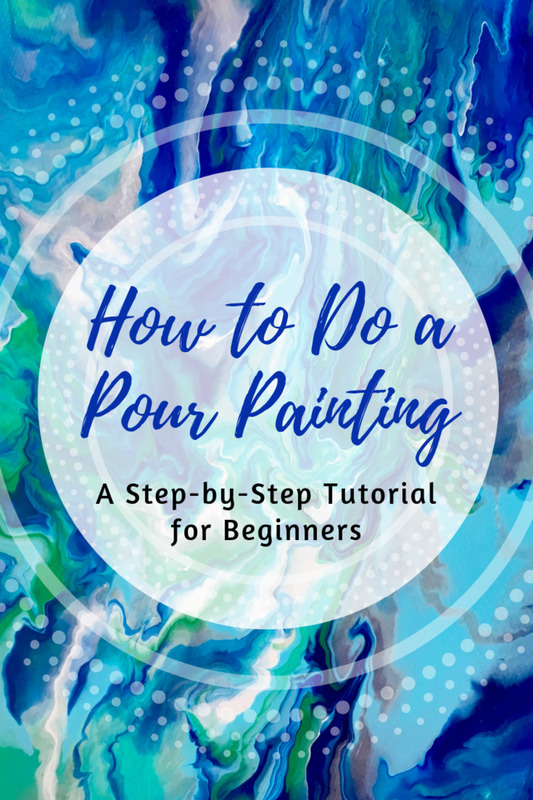 This is another great alternative for the oil painting artist. I’ve heard cleaning paint brushes with cooking oil or baby oil will clean as good as walnut oil. Any comments on this? Oil is oil and you can clean brushes with it, but, the processing of baby oil may have ingredients that can break down the ferrule of the brush later on. Cooking oil might be safer. Put a little oil on the brush to thin the paints then was w/very mild soap and water, then reshape the brush and dry horizontally. I only want to use walnut oil, have you tried sun bleached walnut do they hold up against darkening and yellowing? I have not tried sun bleached walnut oil or have heard of it. Walnut oil in general darkens much less than linseed oil because it does not oxidize as quickly. Good luck with your walnut oil paintings. Hi Mike, I encourage you to prove to yourself that if you add walnut oil to walnut oil based paint this will thin out the paint. You would want to work fat over lean so start the painting with your paints thinned out and compare the properties of the thinned out paints by thinning one bit of oil paint with turpentine or mineral spirits and one bit of paint with walnut oil, you will see that for all three mediums used, the paint will be thinner than if you did not use any of these mediums with the oil paint out of the tube. I just read the last comment posted after reading your great article & think I should clarify something for you. From research carried out & from speaking with many people including art stores, suppliers & manufacturers when you add oil to paint you are indeed making it fatter...not leaner. (unless walnut oil is different for some reason) So you need to add progressively MORE oil to the paint with each successive layer. I think this is the opposite of what you are recommending ? I am not sure that the walnut paint you get in a grocery store is the same and will yield the same result. Even if walnut paint is used, the refinement is different. You can experiment, but walnut oil for paints is very thick compared to cooking grade walnut oil. I would be interested to know if it does indeed work. They are most likely pressed at different pressures to yield different viscosities. Good luck! Hello, how are you? Is it okay to use refined walnut oil from the grocery store? As far as I am aware, the refined does not rotten and you can use it to paint with. Hopefully I am right on this because I have no money for expensive walnut oil from a large company. Lol. Thank you for your time. I did not know that the bottle of Schmincke painting medium you bought makes oil paints water soluable. 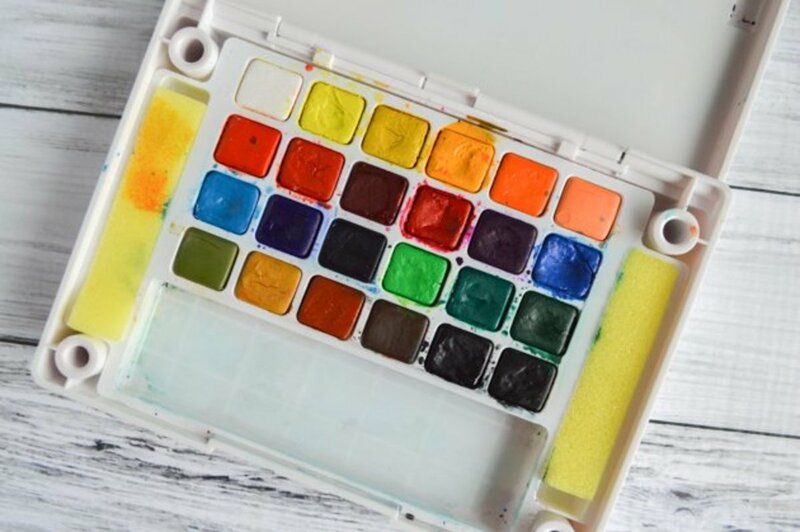 I do know that the Graham Walnut Oil based paints can be freely mixed with traditional oil paints and the walnut oil paints can be cleaned up with soap and water because the walnut oil is light. I am going to do further research because I am not sure. The issue would be drying time and quality of paint film. I'll be glad to get back to you with an answer. Hi, I just found your website. My blessed day! My question is if it is possible to use Schmincke Oil with walnut oil based paints to make them water soluble. I have a lot of water soluble paints in which I would like to add the oils. I bought a large bottle of the Schmincke before I found out about the walnut oils. I know it makes regular oil paints water soluble. Thank you. Hi there, I can't say I have ever tried this. As with anything that has to do with heat and chemicals, takes fire precautions. A way to avoid any potential fire hazards is to dissolve the damar crystals in spike lavender oil which has natural camphor and the lavender will dissolve the crystals in about five days. You can buy it directly from Blick's Art Supplies. Keep me posted on whichever method you choose. I have some damar crystals left over from my encaustic work. I was wondering if I can make a heated glaze medium with just walnut oil and damar crystals. No Turpentine. Just low heat to dissolve the crystals into the oil. I am going to experiment with it but was wondering if anyone had tried it first. My hesitation is that it will be too thick and tacky and hard to manipulate. But the trade off might be a nice thick, clear, luminous coat with no need for gum spirits. Hello there, k chiappini - yes you can mix alkyds with the walnut oil, alkyds simply speed the drying time enormously which will allow you to work on the painting more often. As a bonus, if you are using the M. Graham alkyd medium it is a non-toxic medium. Happy painting to you and keep me posted on how your paintings turn out! Just wondering, can I use walnut oil and walnut alkyd in the same painting? So glad to be able to see your paintings and read your thogthus in your new format, which I now have on my bookmark bar. Hope to return to your class when my life is more balanced; soon, I pray. In the meantime, thank you for the gifts you share in your blog. You are appreciated. I am so glad, art should bring happiness among other emotions. If you do try this technique, good luck to you! The colors are so vibrant. It cheers me up just looking at it. Pinned this so that I can find it again, I was put off oil painting by the lingering smell of the turps. as it made me feel ill. This information for painters who use oils is worth knowing about. Do you sell your art on Etsy or someplace else online? Ah, no reason to give up, try this method (actually the original oil painting method) and let me know how it works out. Thanks, and happy painting to you! This is wonderful! I gave up on the notion of oil painting years ago because I had an adverse reaction to the solvents. The painting itself is beautiful. 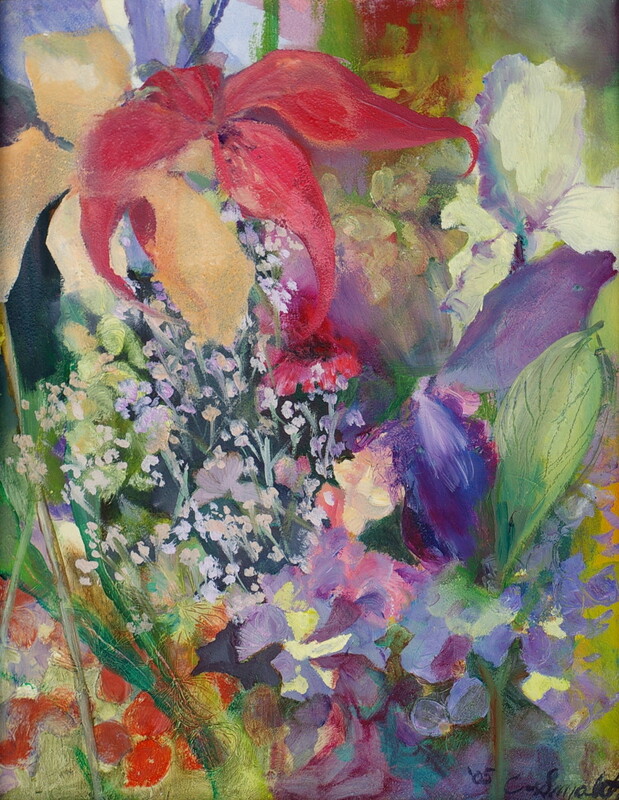 Thank-you for commenting, it is a lovely paint to use and good luck in your painting. Very informative article. I had not heard of walnut oil based paint. I use water based oil paint and thus got away from the turpentine etc. I might try the walnut oil based paint. Thanks for sharing the information. I am gonna buy me some walnut oil ASAP. Loved the hub and learning new things. Thanks for sharing. These paints are a pleasure to use and are of very high quality. I think you'll really enjoy them:) Thank-you for checking out my hub! I bought some walnut oil today and am going to dive right in! Thanks for the tips! Thank you for that, I will give that ago, I use zest-it but it takes my painting longer to dry. Thanks for the tip on the walnut oil; I have used it in the past but I mostly stick to linseed oil diluted with Damar varnish and artist's turpentine. I will have to experiment more with walnut oil. It's true that many of the old painter's did not use the fat over lean technique causing their paintings to crack over time. Another reason was because some of the old painters would not prepare their painting surfaces appropriately, one example was Leonardo da Vinci's "Last Super." Thanks for sharing your thoughts and beautiful painting. Very interesting...you are a good artist too. Your painting is beautiful. Question...when you say walnut oil, is this the same walnut oil that is edible? We have walnut oil in our pantry that is often used for salad dressings, etc. Or is it a different grade? Up, useful and interesting votes! That is a beautiful piece of art. I've always been interested in oils but too scared to try them. Thanks for sharing all these great tips. I might give it a go one day!